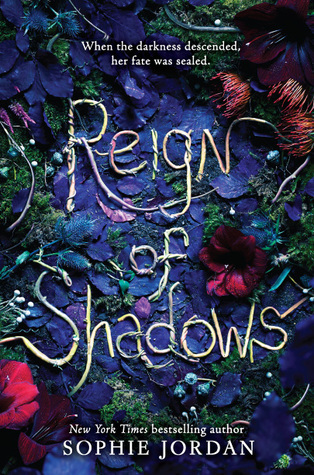 Reign of Shadows had a lot interesting components in it to make it an astounding read and novel. Firstly I like the loosely based retelling factor and component. It's there throughout the book as you read, however it's not suffocating. Also I liked that we saw character development within the length of this book, without it feeling rushed or out of place. Overall the generally story was great. One of my favorite things about Reign of Shadows was the character development. 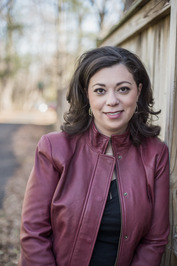 It was a continuing factor throughout the book and I loved it. The characters weren't prefect from the beginning, and even at the end they still weren't prefect, but they did go through inspiring changes. I think I liked seeing Fowler's changes the most. He was such a closed off character at the beginning who strictly believed that caring was for the weak, and those who cared basically got themselves killed in the process. He actually really made me mad because of those traits at the beginning. Like not mad as in I hated him, I just got frustrated because I actually really liked him as a character and I wanted him to grow. To sum it up, he really did grow. It was like watching a caterpillar turn into a butterfly.Beautiful and transfixing all at the same time. Also, the things he sacrificed for Luna also nearly killed me. I also loved Luna's development. I think one of my major concerns for her was being naive but her development as a character definitely proved me wrong. I also liked that she believed that caring didn't make you weak but stronger. I loved the idea that Luna and Fowler were sort polar opposites into mid way through the book when they started to kind of merge together and get closer. 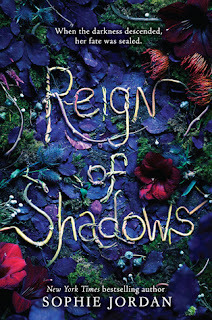 I also loved the world built for Reign of Shadows. I liked the idea that for the bane of Luna's existence the world has been submersed in complete darkness except for an hour period of time where only a little light shows through. In the event of the eclipse it allowed for creature to form and come out of hiding to prey on the living. Also the description of the different locations that Luna and Fowler discover were magical. So descriptive and captivating, to the point that i did exprience shivers during different descriptions. From the world building to the amazing character development I did have some issues with the pacing of the story line itself. I found there to be a few hiccups with the pacing throughout the entire book. However with that being said I still enjoyed the adventurous aspects on the story line. To go along side the story I liked the blossoming romance. It wasn't something that felt forced, it developed as the characters grew into their new selves. Overall besides with the pacing issues, I generally enjoyed the plot and romance intertwined. All in all this book was really well written. I thoroughly enjoyed seeing the development of the characters progress with the story, as well as the superb world-building. I highly recommend this book, and if you do pick it up I hope you enjoy it! Description: Seventeen years ago, an eclipse cloaked the kingdom of Relhok in perpetual darkness. In the chaos, an evil chancellor murdered the king and queen and seized their throne. Luna, Relhok’s lost princess, has been hiding in a tower ever since. 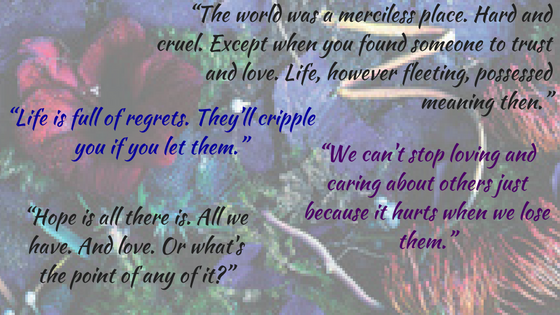 Luna’s survival depends on the world believing she is dead. I love the cover and it sounds pretty interesting. Thanks for the review.